You'll be £19.99 closer to your next £10.00 credit when you purchase From SAS to Blood Diamond Wars. What's this? 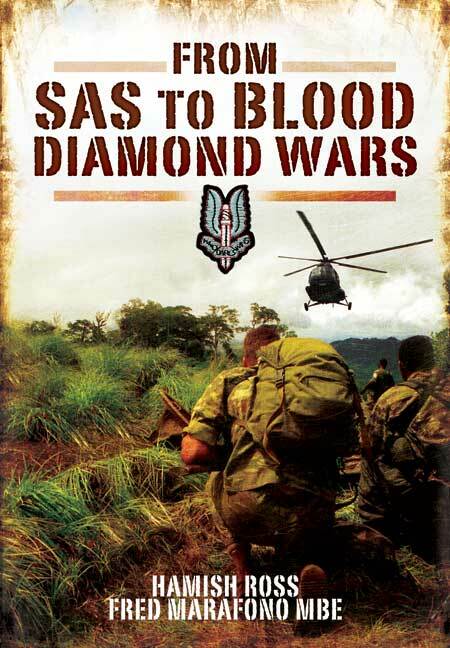 From SAS To Blood Diamond Wars is the story of Fred Marafono an outstanding warrior, even by SAS standards. On the point of being demobbed from the SAS, Fred Marafono was recruited by David Stirling for his private security company. After Stirling's death, Fred found himself in the midst of Sierra Leone's Blood Diamond wars, and formed an unbreakable bonding with the country's champion of democracy, Chief Hinga Norman, whose leadership and tragic death are integral to the story. Fred Marafono was recruited by Simon Mann for the finest of all private military companies in Africa, Executive Outcomes. Fewer than two hundred of them defeated the rebels in their strongholds. Through political weakness, Executive Outcomes were made to leave the country, and chaos ensued. Committed men like Hinga Norman and British High Commissioner Peter Penfold saw that, in the absence of military commitment from the west, only highly professional former soldiers could spearhead the fight to restore democracy. Three of these veterans kept a vital air bridge open. Fred's final action was supporting the SAS in their brilliant hostage release, Operation Barras. From SAS to Blood Diamond Wars’, reveals the exploits of Kauata ‘Fred’ Marafono, the Fijian ex-SAS soldier who became involved in the 11year rebel war in Sierra Leone. In the SAS one talks of ‘crossing the river’ for someone. Throughout his time in Sierra Leone, Fred Marafono established a close bond with Sam Hinga Norman. He was someone Fred crossed the river for and Hamish Ross’s book is as much about Sam Norman as it is about Fred Marafono. By so eloquently telling the story of Fred Marafono and his kinship with the principal defender of Sierra Leone, Sam Hinga Norman, Hamish Ross has told our story and the story of the “Land that we love, our Sierra Leone”. It may well be the first and perhaps only detailed account of the war from the points of view of those who fought on the side of the people and government of Sierra Leone. The book is as inspiring as it is informative. It leaves us with the question we have all asked ourselves over and over: What if? What if there had been no Fred Marafono, no Peter Penfold, no Hinga Norman? Would there be today a place called Sierra Leone? Alfred Munda SamForay, Indianapolis, Indiana, USA.